Since its inauguration in 2014, the Fondation Vincent van Gogh Arles has presented works by the great masters of painting—foremost among them being Vincent van Gogh, whose work underpins the direction of our program. However, while Vincent will be present once again, this upcoming exhibition is driven by the work of another great painter in modern art, Pablo Picasso. Pablo Picasso and Vincent van Gogh: an extraordinary dialogue delving into the major influence of the Dutch painter on Picasso, who considered him the “greatest of all”; just this would have sufficed. But Hot Sun, Late Sun is a thematic exhibition, weaving an intricate conversation highlighting the intersections between practices— between Pablo Picasso and Sigmar Polke for one, but also between Alexander Calder, Adolphe Monticelli, Giorgio de Chirico and Vincent van Gogh. 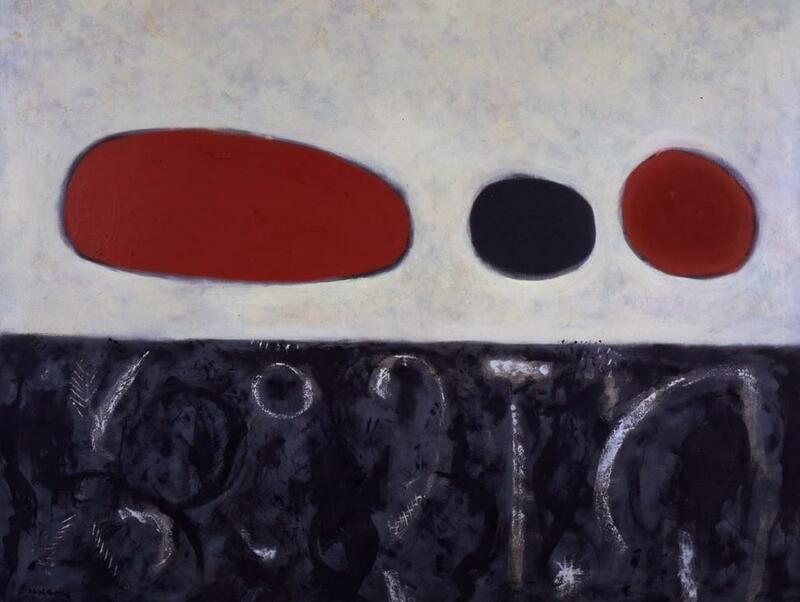 Hot Sun, Late Sun will feature a number of rare loans, which we are proud to present to the public until 28 October 2018. 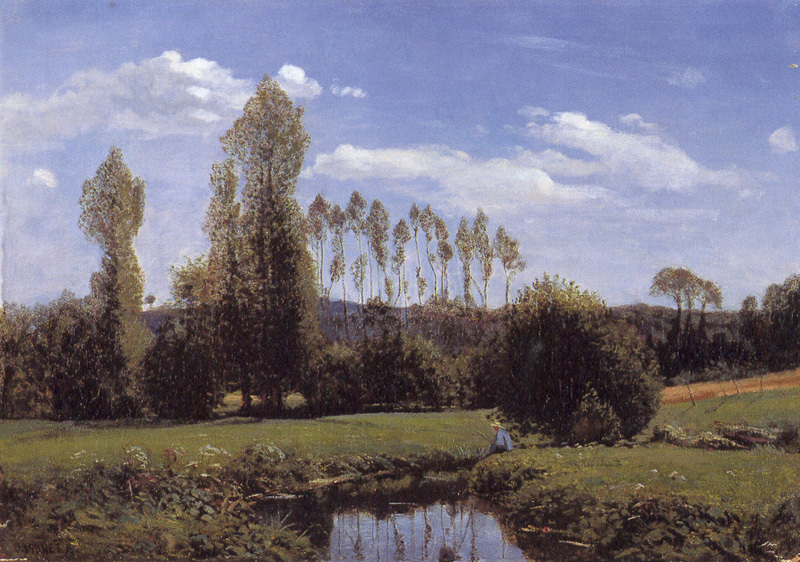 Vincent van Gogh, Champ aux meules de blés, 1890. 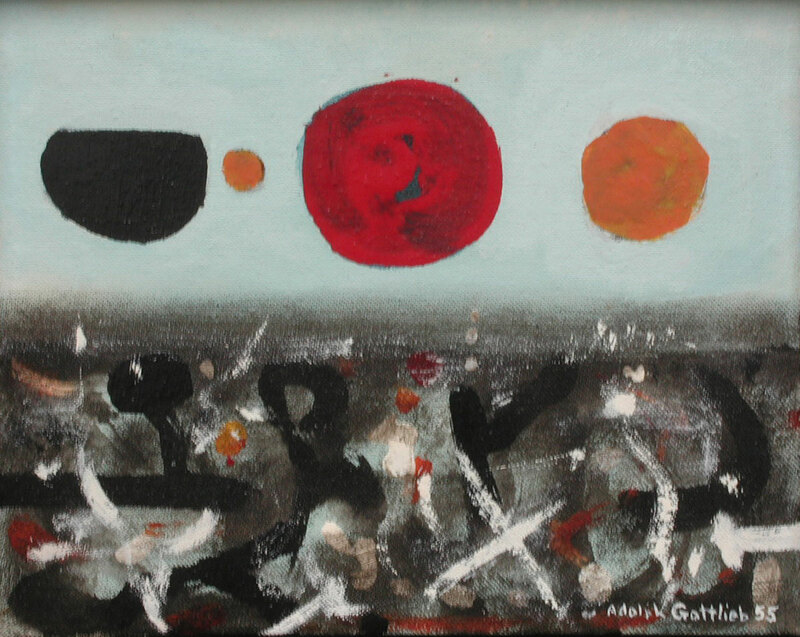 From Aug. 31 to Oct. 21, 2018, the Provincetown Art Association and Museum in Provincetown, Mass., will present Adolph Gottlieb in Provincetown, curated by Sanford Hirsch, Executive Director of the Adolph and Esther Gottlieb Foundation. 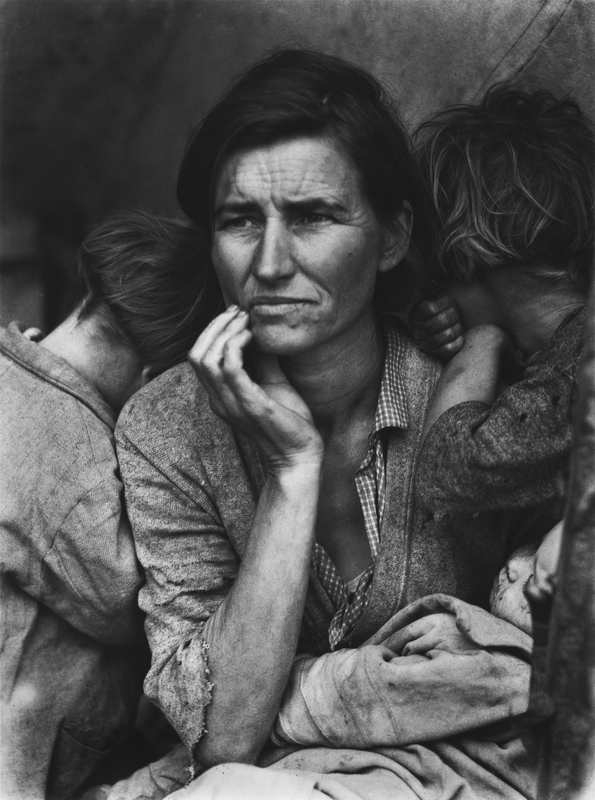 Dorothea Lange (1895–1965) is recognized as one of the most important photographers of the twentieth century, and her insightful and compassionate work has exerted a profound influence on the development of modern documentary photography. 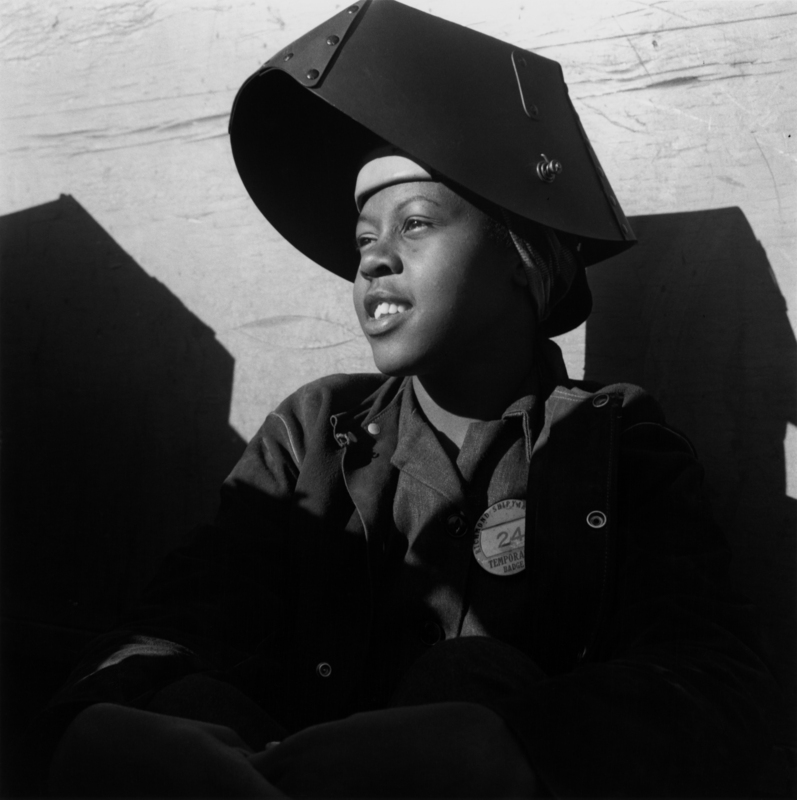 With hardship and human suffering as a consistent theme throughout her career, Lange created arresting portraits with the aim of sparking reform. 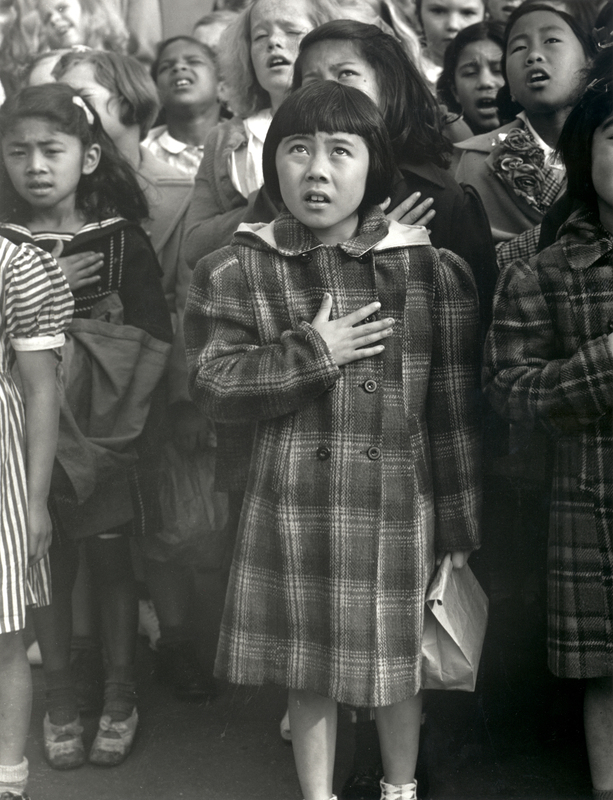 This is the first exhibition to examine her work through the lens of social and political activism, presenting iconic photographs from the Great Depression, the grim conditions of incarcerated Japanese Americans during World War II, and inequity in our judicial system in the 1950s. The exhibition encompasses 300 objects, including 130 vintage and modern photographs, proof sheets, letters, a video, and other personal memorabilia. Oakland Museum of California, City of Oakland. Gift of Paul S. Taylor. the Oakland Museum of California, City of Oakland. Gift of Paul S.Taylor. circa 1943. 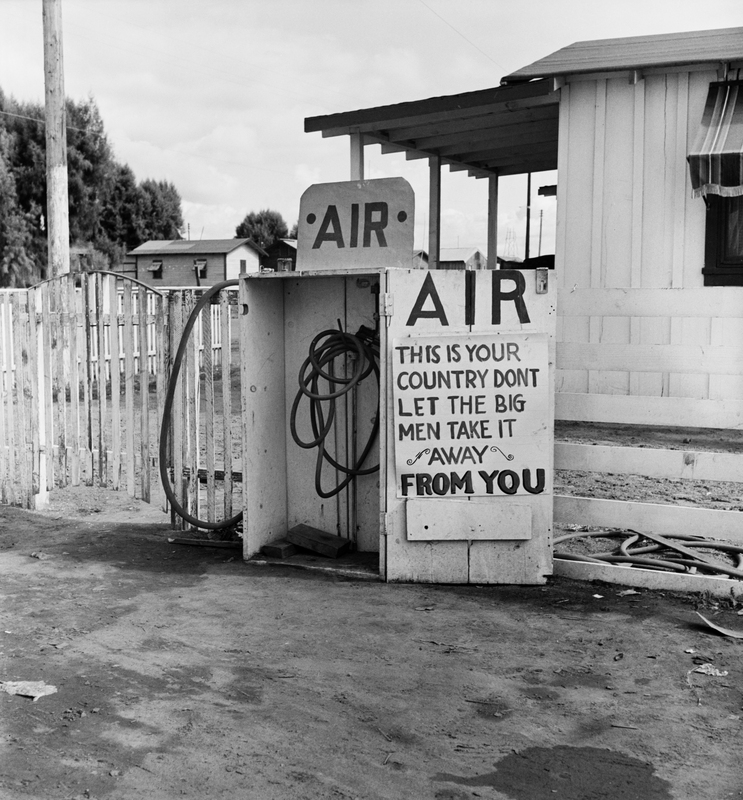 © The Dorothea Lange Collection, the Oakland Museum of California, City of Oakland. 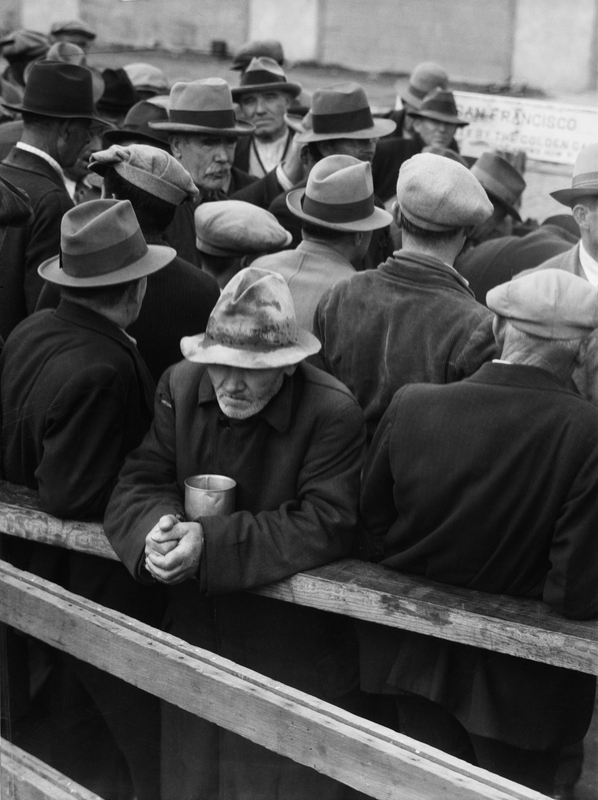 Gift of Paul S.
White Angel Bread Line, San Francisco, 1933. Collection, the Oakland Museum of California, City of Oakland. Gift of Paul S. Taylor. Oakland Museum of California, Gift of Paul S. Taylor. The Lyman Allyn Art Museum will open a new permanent exhibit this October, dedicated to life and works of American artist and designer, Louis Comfort Tiffany (1848 – 1933), who was best known for his innovative work with stained glass. 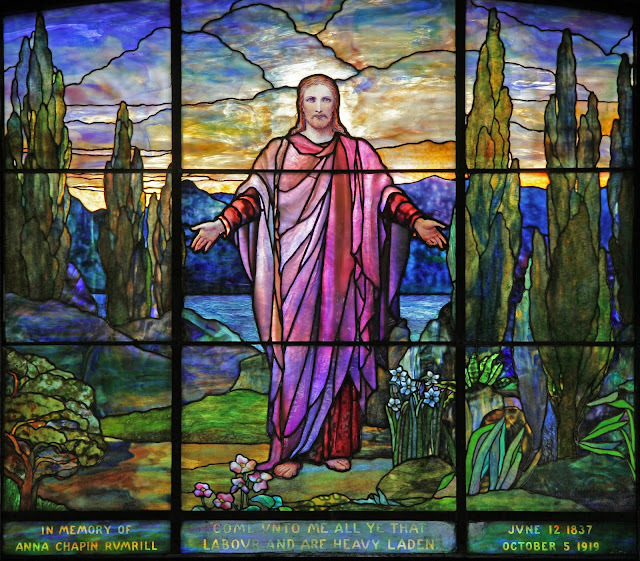 The installation will feature three newly conserved stained glass windows which were commissioned in the early 1900s to memorialize loved ones in New London. The collection, which will showcase never before exhibited objects (many of which came from the artist’s descendants), will illustrate Tiffany’s early career as a painter, then show his work as an interior designer, and tell the story of his innovations and success as a glassmaker. With items both from the museum’s collection and on loan, the exhibit will include nearly 100 pieces of decorative arts and fine arts objects including a range of windows, lamps, paintings, period photographs, furniture, metalworks, glass samples and finished Favrile glass vessels, as well as jewelry and adornments. The works will be displayed in the museum’s Chappell Gallery, a 1,070 square foot space devoted to the artist. “Louis Comfort Tiffany is known as one of the most creative and versatile artists of his era. 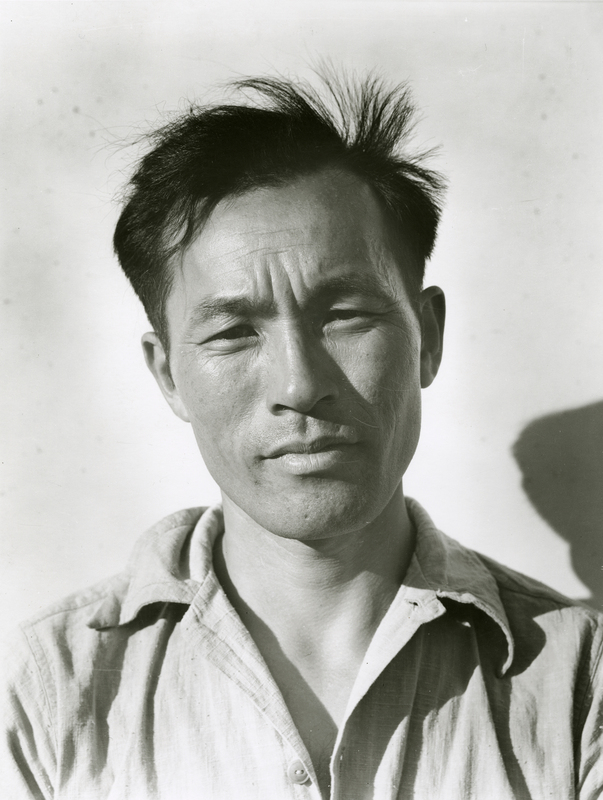 This new exhibit, which provides a comprehensive and insightful look at his many works, allows us to tell a rich story about his life and career,” stated Museum Director, Sam Quigley. “We are thrilled to join the ranks of noteworthy institutions such as the Metropolitan Museum of Art, The Corning Museum of Glass and the Morse Museum in Florida, that offer a focused collection from this very important artist,” he added. 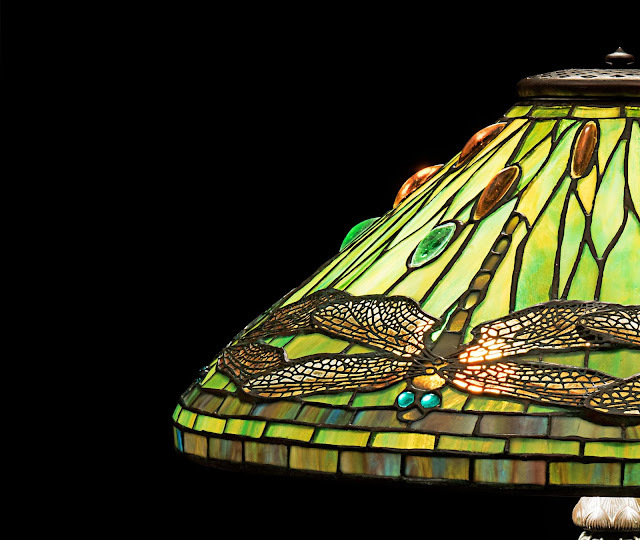 Much of Tiffany’s success was driven by technical innovations in blown and stained glass. As such, the exhibit will present the creativity, history, and artistry that Tiffany and his craftspeople used to create vivid new effects in glass. 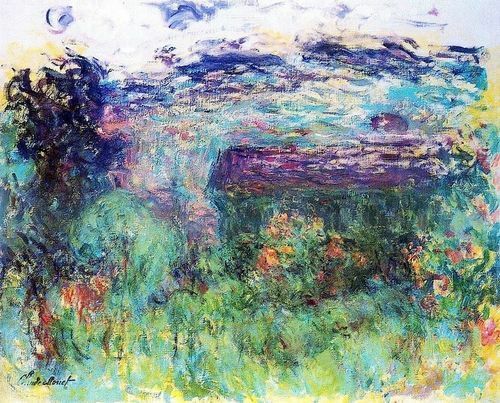 They made multi-colored iridescent surfaces and deep colors, textures, and other effects to make the glass itself mimic the versatility of a painted canvas. This type of iridescent glass with distinctive coloring in which the color is ingrained in the glass itself became known as Favrile glass. Tiffany patented the process in 1894 and first produced the glass for manufacture in Queens, New York in 1896. The museum will also provide several short and informative videos which explore Tiffany family history, the patronage of Tiffany windows and the conservation and preservation of the windows installed in the gallery. The videos will be created by Todd Gipstein, an award winning writer, photographer, and producer whose work has been featured in National Geographic. Following the gala opening of the exhibit on October 20, the museum will launch a lecture series in November, 2018. The series will be kicked off with a presentation focused around Agnes Northrop, a noted independent female designer for Tiffany Studios. The first lecture will be delivered on November 17 by renowned Tiffany expert and author Alice Cooney Frelinghuyse., the Andrew W. and Lulu C. Wang Curator of American Decorative Arts at the Metropolitan Museum of Art in New York. 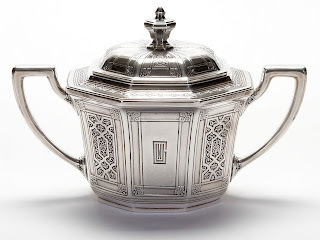 “A wide range of cultural influences informed the art and design of the Gilded Age, bringing objects, designs, and ideas from around the world to America and to this region,” noted Tanya Pohrt, Special Project Curator. “Tiffany’s fascination with the art and culture of the middle east and the far east illustrates the global and cosmopolitan nature of American art and design in this era,” she added. Louis Comfort Tiffany, New York, Come Unto Me, 1924, Favrile glass; 72” x 76” , photo courtesy of Robert Baldwin. as well as two stained glass windows from the Frank Loomis Palmer (1851-1917) Mausoleum, Cedar Grove Cemetery, New London. Saint Cecilia, Tiffany Studios, ca. 1917. Loan, Cedar Grove Cemetery, New London. 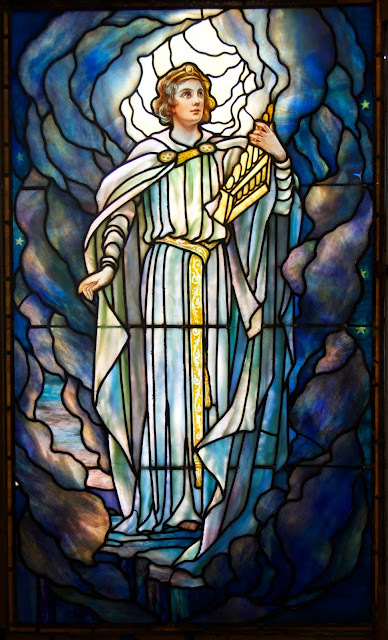 and Saint Cecilia window, Tiffany Studios, ca. 1913. 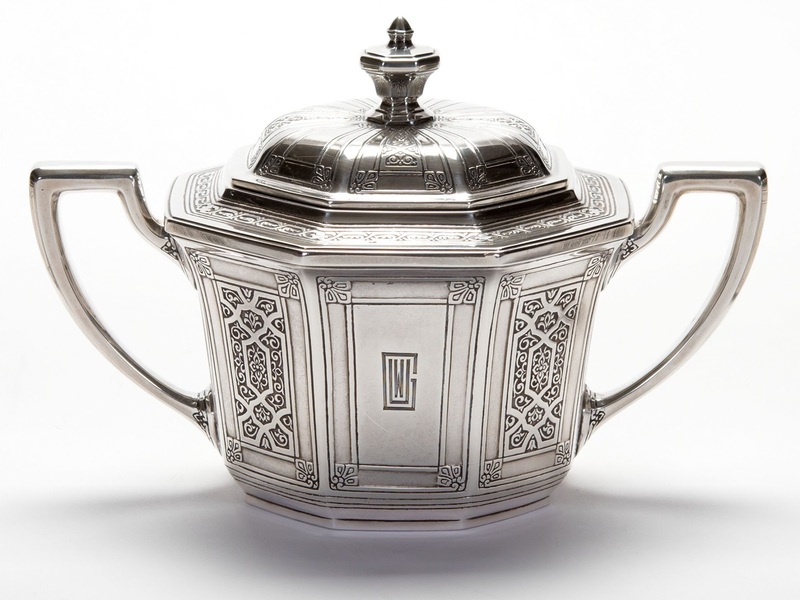 Sugar Bowl with lid, sterling silver, 1928, Tiffany & Company. 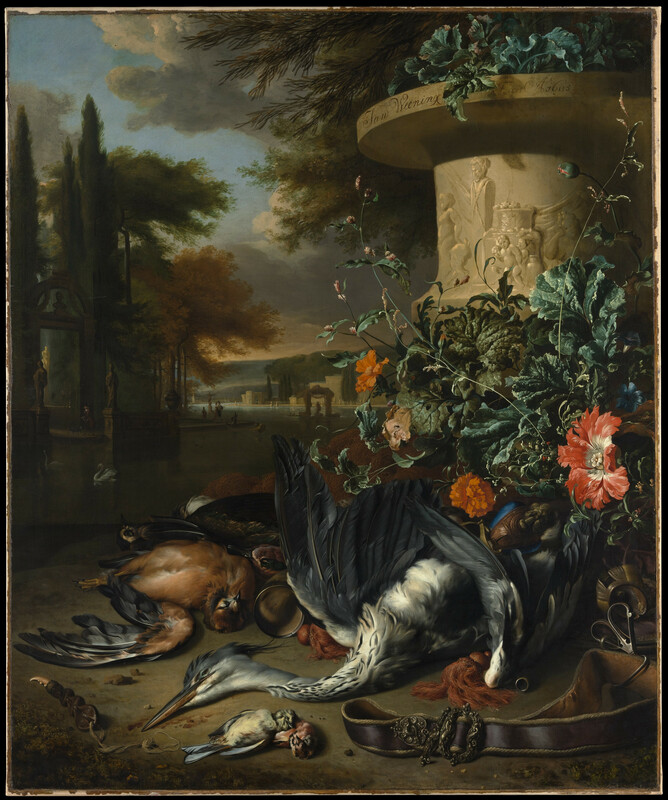 Loan, private collection. Today, the Tiffany family name is most commonly associated with Tiffany & Co., a prestigious American luxury jewelry and specialty retailer, founded in New York in 1837 by Louis Comfort’s father, Charles L. Tiffany. By the 1870s and 1880s, Tiffany & Co. was the world's premier source for luxury goods, serving royalty and the wealthy industrialists who led America's Gilded Age. 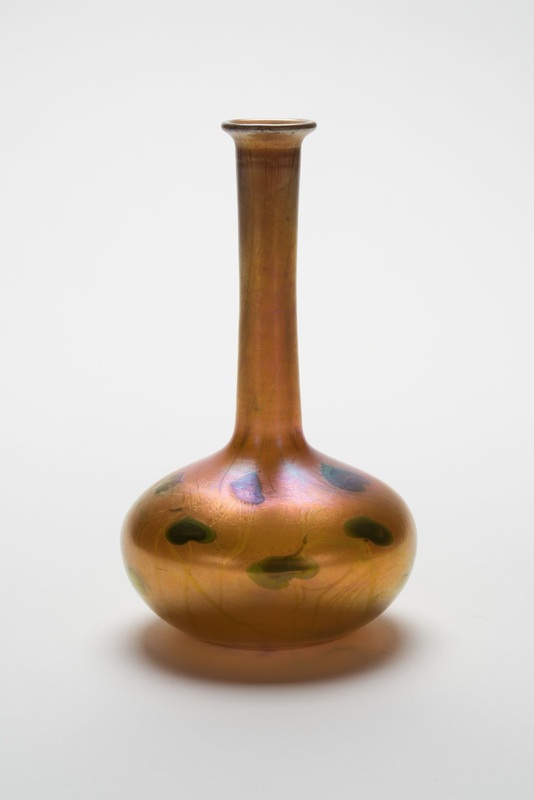 Tiffany’s son, Louis Comfort Tiffany established his own firms specializing in arts and decorative glass. His firm designed interiors and furnishing for many notable clients including President Chester Arthur’s White House and Mark Twain’s mansion. Later following the death of Charles Lewis Tiffany in 1902, the younger Tiffany stepped in, becoming primary shareholder and design director at Tiffany & Co., a title he held until 1919. The Lyman Allyn Art Museum welcomes visitors from New London, southeastern Connecticut and all over the world. Established in 1926 by a gift from Harriet Allyn in memory of her seafaring father, the Museum opened the doors of its beautiful neo-classical building surrounded by 12 acres of green space in 1932. Today it presents a number of changing exhibitions each year and houses a fascinating collection of over 17,000 objects from ancient times to the present; artworks from Africa, Asia, the Americas and Europe, with particularly strong collections of American paintings, decorative arts and Victorian toys and doll houses. Tiffany in New London is part of the museum’s revitalization initiative, which includes the recently completed reinstallation which highlights the Museum’s permanent collection, the replacement of the building’s HVAC system, and future improvements to its 12 acres of green space. The museum is located at 625 Williams Street, New London, Connecticut, exit 83 off I-95. The museum is open Tuesday through Saturday, 10:00 am – 5:00 pm, Sundays 1:00 – 5:00 pm; closed Mondays and major holidays. For more information call 860.443.2545, ext. 2129 or visit us on Facebook, Twitter and Instagram, or the web at: www.lymanallyn.org. The Virgin and Child with St. Barbara and Jan Vos (known as the Exeter Virgin, after its first recorded owner), painted by Petrus Christus and now in the Gemäldegalerie, Berlin—will be shown with a selection of objects that place them in the rich monastic contextfor which they were created. The exhibition pays tribute to Vos as a patron and offers insightinto the role such images played in shaping monastic life in fifteenth-century. Bruges.The Charterhouse of Bruges: Jan van Eyck, Petrus Christus, and Jan Vos will be on view in the museum’s Cabinet Gallery and is organized by Emma Capron, the Frick’s 2016–18 Anne L. Poulet Curatorial Fellow. The Carthusians belonged to one of the most austere monastic orders of the late Middle Ages, removed entirely from the secular worl dand committed to a life of solitude and silence spent mostly within the confines of their cells. 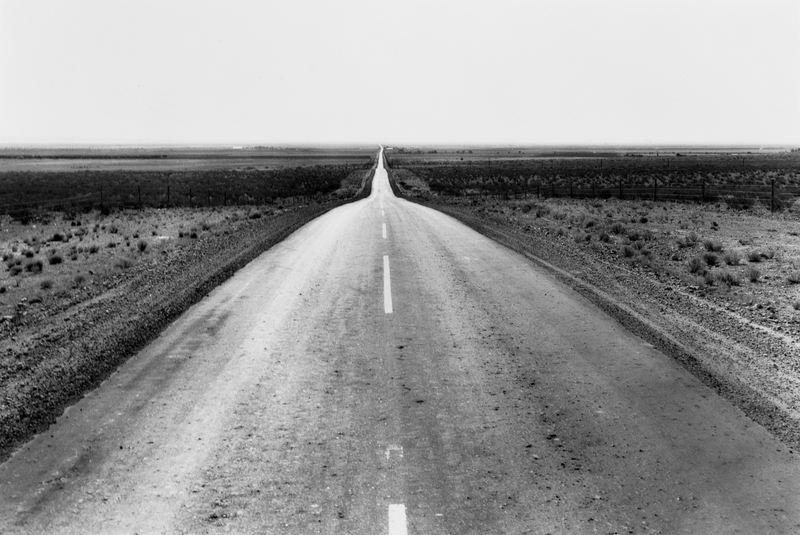 These ascetic ideals belied a complex attitude toward ornament and images. While specific images were cited as distracting luxuries in the order’s regulations, others were valued as important tools for meditation, and the Carthusians’monasteries, known as charterhouses, became rich repositories of painted panels, illuminated manuscripts, funerary monuments, altarpieces, and other fine works of art. 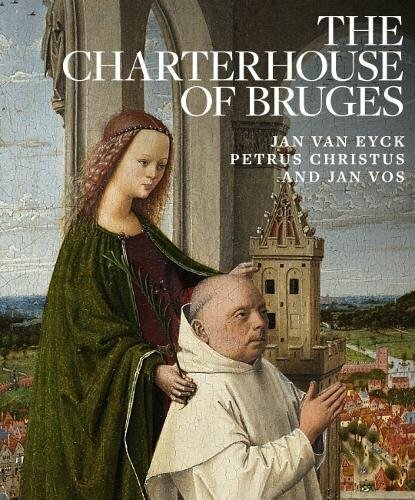 In April 1441, the Carthusian monk Jan Vos was elected prior of the Charterhouse of Genadedal, an important monastery near Bruges that was patronized by the dukes of Burgundy and the city’s foremost patrician families. 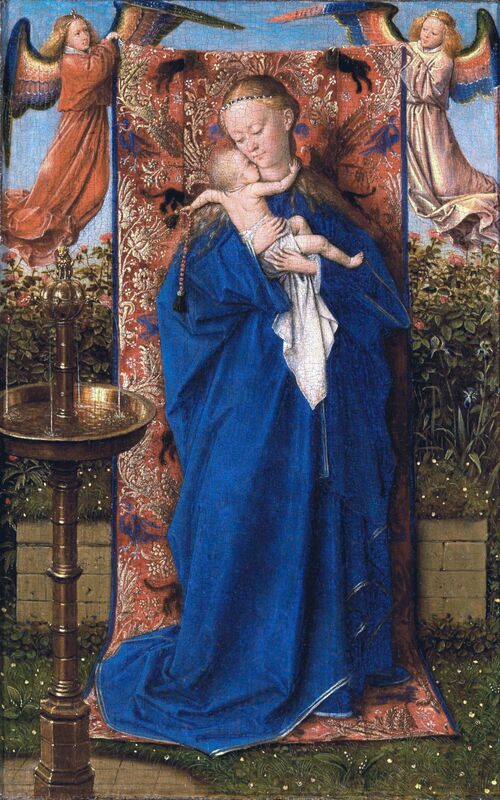 Soon after his arrival in Bruges, Vos commissioned TheVirgin and Child with St. Barbara, St. Elizabeth,and Jan Vos from Jan van Eyck, who laid out the painting’s composition. Following the artist’s death in June 1441, the panel was completed by an unknown member of his workshop. Several years later, Vos commissioned the closely related Virgin and Child with St. Barbara and Jan Vos from Petrus Christus. It was not uncommon for preeminent Netherlandish masters to paint important works for Carthusian monasteries, most famously Rogier van der Weyden, who, around 1455–64, gifted his monumental Crucifixion (now in the collection of El Escorial, Real Monasterio de San Lorenzo, Madrid) to the charterhouse of Scheut near Brussels, and another panel (possibly depicting the Virgin, now lost) to the charterhouse of Herne, where his son was a monk. Genadedal boasted impressive works of artas well. In addition to the Van Eyck Virgin and the Petrus Christus panel, a small choir book from Genadedal is included in the exhibition. and the Philadelphia Museum of Art). Though different in scale, the Frick and Exeter Virgins bear remarkably similar imagery, composition, and fine execution. Both scenes depict Vos being introduced to the Virgin and Child by Saint Barbara, and are set within elaborate porticos opening on a panoramic cityscape; the panels achieve remarkable monumentality while conveying myriad minute details. Kneeling on holy ground removed from the city below, Vos exemplifies the Carthusian ideal of isolation from the world. The prior’s choice of patron saints has been connected to his earlier career as a Teutonic Knight, a military religious order that looked after the relics of Elizabeth of Hungary, a noblewoman who renounced worldly goods to devote herself to the poor and who is depicted as a nun in the Frick panel. Saint Barbara is shown in both the Frick and Exeter panels with her attribute, the tower where her father imprisoned her to prevent (unsuccessfully) her conversion to Christianity. Barbara was the patron saint of artillerymen and, as such, was especially revered by the Teutonic Knights. The story of her confinement in the tower must have also resonated with the reclusive Carthusians: during the late Middle Ages, charterhouses often were compared to prisons. The Virgin features as central object of veneration in both the Frick and Exeter panels, as she does in a diptych and clay tablet (both lost) that Vos is known to have owned. This reflects not only the ubiquity of the Virgin’s cult during the late Middle Ages, but also her importance as patron of the Carthusian order. This is consistent with meditative practices of the period, which relied on physical images to help conjure mental ones. Images provided the crucial first step for this spiritual progress: they helped focus the monks’ minds and allowed them to visualize themselves in the presence of holy beings. Looking at his own likeness in the company of the Virgin, Christ, and Saint Barbara would have helped Vos visualize this divine encounter in his mind’s eye. This reliance on mental images and visualization is not so different from exercises promoted by mindfulness meditation today. Images were all the more important for an order whose members spent the majority of their time in their cells, in solitary prayer: images, especially ones as rich in detail as the Frick and Exeter Virgins, would have offered endless possibilities for examination, helping to relieve the mental strain of complete isolation. The function of the Frick Virgin is more difficult to ascertain. Previous studies have identified it as either a devotional work or an altarpiece. A recent examination of the archives of the Utrecht charterhouse—where Vos took the panel after leaving Bruges in 1450—provides compelling evidence that it had served as his memorial, a type of funerary monument popular in northern Europe during the late fourteenth and fifteenth centuries. Broadly defined, memorials (also called votive tablets or epitaphs) were large painted or sculpted tablets, which depicted a deceased donor being introduced by saints to holy figures—in most cases the Virgin and Child—whose intercession they sought. Generally, memorials would be placed above the tomb of the deceased, thus functioning as grave markers. Their frames usually bore an inscription that identified the deceased and petitioned passers-by to pray for the repose of the deceased’s soul. Indeed, during the fifteenth century, prayers from the living were believed to hasten the release of the deceased’s soul from purgatory into heaven, and memorials were created specifically in order to secure suffrages for the dead. Another memorial by the artist, The Virgin and Child with Nicolas van Maelbeke,was completed probably around the time Vos arrived in Bruges. Copy after Jan van Eyck's Madonna and Child with a Donor. Silverpoint on paper, 13.4 x 10.2 cm. Unknown artist, 15th century, Germanisches Nationalmuseum, Nuremberg. Although lost, the panel is known through two silver point drawings from about 1445 (now in the Germanisches Nationalmuseum in Nuremberg and the Albertina, Vienna). The latter, attributed to Petrus Christus, is featured in the exhibition. This composition inspired the Exeter Virgin and shows the impact of Van Eyck’s legacy on the younger painter. When Vos began his tenure as prior of Genadedal, he was probably in his fifties, at an age when one usually started planning for death. By then Van Eyck had completed his memorials for Van der Paele and Van Maelbeke, which may have been known by Vos, perhaps prompting him to commission the artist to produce a similar(thoughmore modest) in size memorial for himself. In 1443, about two years after the completion of the Frick Virgin, Vos petitioned his acquaintance, Bishop Martin de Blija, to attach to the memorial an indulgence—that is, a grant that promised passers-by a remission of time served in purgatory in exchange for their prayers. Specifically, the indulgence guaranteed forty days of pardon to whoever would greet the Virgin in the Frick panel with the Ave Maria, the first line of which, significantly, appears embroidered on the canopy behind the Virgin, suggesting that Vos planned from the onset of the commission to seek an indulgence for the panel. The painting’s imagery thus invited viewers to recite the indulgenced prayer. The indulgence could also be gained by saluting the panel’s images of Saint Barbara or Saint Elizabeth by reciting both the Ave Maria and the Pater Noster. Forty-day indulgences were by no means uncommon duringthe late Middle Ages, and they were frequently granted to encourage prayers in front of newly made images. As a spiritual privilege granted to the Carthusians, the indulgence was only valid as long as the image remained within the order. Thus, on the walls of The Frick Collection, the Virgin has lost its supposed power of spiritual remission. What prompted Vos to seek an indulgence for his memorial? Effectively, the indulgence made the painting’s beholder a mutually beneficial offer: in addition to benefitting Vos’s soul, the recitation of special prayers in front of 5 the panel would also improve the viewer’s prospects for salvation through the remission offered by the indulgence. Vos thus used the indulgence to call attention to his memorial and incentivize suffrages for his soul among his fellow monks. In procuring the indulgence, Vos transformed the panel into a currency in the economy of salvation that pervaded the era.The Frick and Exeter Virgins survived the destruction of the Bruges and Utrecht charterhouses during the religious wars, in 1578 and 1580 respectively. While Vos’s body lies anonymously somewhere beneath the residential buildings that now stand on the site of the Utrecht charterhouse where he died in 1462, his memorial hangs on the walls of The Frick Collection. Venerated today for its artistic qualities rather than as an object that helped one secure salvation,Vos’s memorial has fulfilled its function, though perhaps not in the way that he had anticipated: it has kept alive the memory of this Carthusian monk, whose patronage of Van Eyck and Petrus Christus gave us two masterworks of early Netherlandish painting. The exhibition is accompanied by a beautifully illustrated catalogue written by curator Emma Capron with essays by Maryan Ainsworth, Curator of European Paintings at the Metropolitan Museum of Art, and Till-Holger Borchert, Director of the Bruges Museums. It is published in association with D Giles Limited. Drawing on recent technical examination information and new archival research on the works commissioned by Jan Vos, the volume explores the panels’ creation, patronage, and function in their rich Carthusian context. The book is hardcover, 160 pages, with 85 color illustrations. On August 17, 2018, the Portland Museum of Art (PMA) in Maine opened Americans Abroad, 1860-1915, an exhibition of watercolors, prints, and paintings by American artists who travelled to Europe for training and inspiration in the late 19th century. The exhibition of 24 works by artists such as Mary Cassatt, Winslow Homer, and James Abbott McNeill Whistler, draws from the PMA collection and special loans, and includes rarely seen watercolors by John Singer Sargent, Maurice Prendergast, and more.